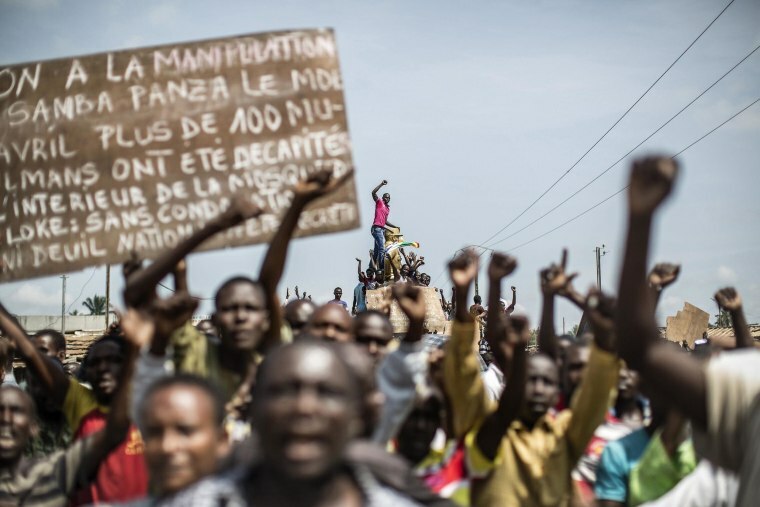 Residents demonstrate in a Muslim neighborhood of Bangui, the Central African Republic capital, to express their anger Saturday after three people were killed in clashes. Tensions have soared in the mostly Christian capital after Muslim gunmen attacked a church in its Fatima neighborhood Wednesday, killing at least 17 people and abducting 27 others, according to U.N. officials. The country has been gripped by ethnic and religious violence for more than a year since Seleka rebels, who are mostly Muslim, seized Bangui in March 2013.